Did you know that cricketers score more runs when they play on a Tuesday? This piece of data applies to players from all countries and genders. Surprisingly, they score a lot less when they play on a Sunday, the day when most cricket matches are held. Stumped? 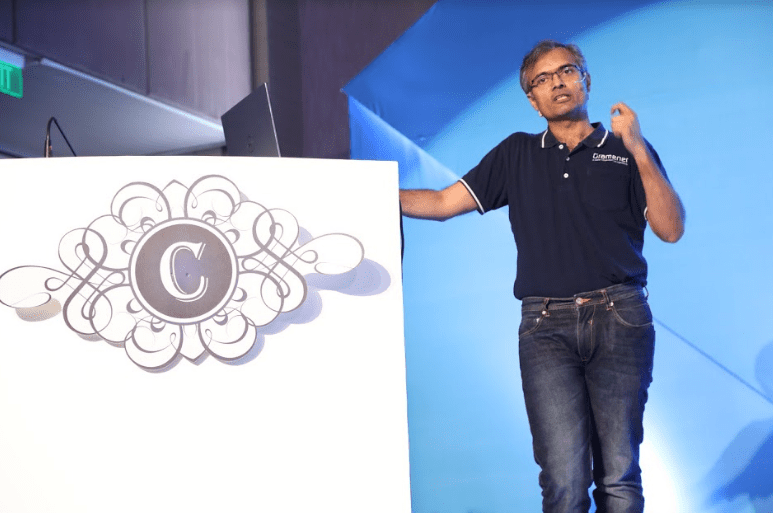 Gramener CEO Anand S said at Cypher 2017, India’s most exciting Analytics summit, talked about how a data analyst goes about automating answers to questions with quantifiable patterns. Statistics evolved as a means of studying data in the mid 1700s — a time when available data was exploding. During most of the history of statistics, our ability to handle large volumes of data was limited, making sampling essential. Our ability to exhaustively test possibilities was also limited, leading to a hypothesis driven approach. Today, neither is a constraint. Most data sets can be crunched several times over on mobile devices. But while our ability to handle large scale data has improved, our skills in automating analysis are growing only now. “I am purposefully trying to make this simple… A part of the reason is that every time I have started talking about more complicated terms of data analysis, people get too excited. They go gaga about terms like machine learning, deep learning…waiting for the next big buzz. People often mistake entertainment for education. The latter often comes with a lot of pain and my focus here is not entertainment,” said Anand. Also Read Are You A Better Statistician Than A Data Analyst? Working live on the “humble” Excel, Anand showcased that how the Microsoft’s spreadsheet was one of the most efficient data sifting invention of our times. Scrutinising the one of the recent studies by NCERT on Excel, Anand gave a small tutorial about arriving at finding logical conclusions by asking simple questions in the data set. He also shared results from varied fields such as education, finance, infrastructure, poultry and transportation, among others, and talked about principles governing these data sets. He gave the example of price forecasting, where securing a fairly large database and running it through models would get the user a fair price. Anand added that the whole process could be made automatic. “I am seeing this increasingly that the analysts’ role is less and less of execution of analysis and more of the system doing the analysis. The analyst on the other hand has to do more of interpretation of the results spewed out by the automated systems,” said Anand.